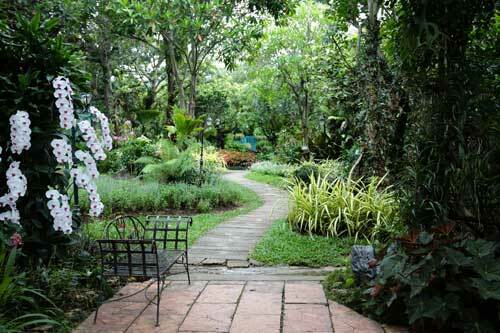 Landscaping is very much an investment in your home, for it provides direct financial benefits. Landscaping can both increase value for you and help you save money. Here’s a look at some of the specific ways that investing in your home’s landscaping could pay off. A well-landscaped yard will increase your home’s value. While the exact amount that your home’s value will increase by depends on many factors, landscaping regularly increases a home’s value. In many cases, it does so by thousands of dollars. 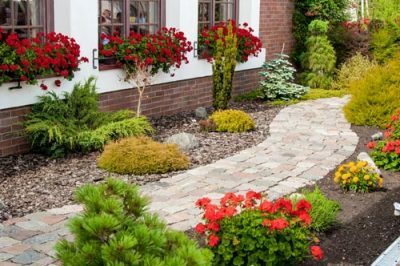 Compared to other home improvements that you can make, investing in your landscaping is one of the few that’s likely to increase your home’s value by more than the project costs. Kitchen and bath remodels, which are some of the most common home improvements people make, often don’t pay for themselves. Most well-conceived landscaping projects do, though. If you rent your home out through a short-term rental platform, improving your house’s curb appeal will also have a direct payoff before you sell your home. Making the surrounding landscaping look nicer will enhance your home’s appearance, which will let you post nicer pictures on the short-term rental platform that you use. Posting nicer pictures on a short-term rental platform has two potential payoffs. First, you’ll likely get more inquiries about your house, which can lead to more rentals. Second, you may be able to charge more because your property has a nicer outdoor space. The first savings-related benefit you’ll notice is the amount of time that wisely designed landscaping saves you. An experienced landscaper can create a low-maintenance design that limits the amount of time you have to spend mowing, trimming, weeding and watering. The time you save can be used several ways. You could, of course, make money by working during the hours you’d otherwise be tending to the property. Alternatively, you could spend this time on other projects that further enhance your home’s value or save you money. Most people, however, like to simply relax during the time they save. Not everything’s about money, after all. 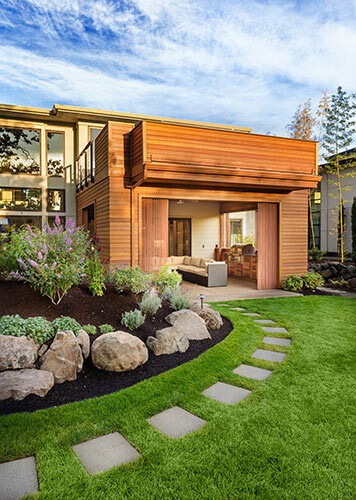 By designing your landscaping with the environment in mind, it’s possible to create a yard that better retains water. Soil selection, plant choice, grading and other techniques can be used to help your yard hold more water and hold it for longer. Increasing your yard’s ability to retain water isn’t just good for the environment, but it can also help your water bill. You won’t have to water your yard and plants as much. In some regions, reducing your water usage will result in a minor decrease on your water bill. In other areas, where water rates are higher, this benefit can provide a significant monthly savings. 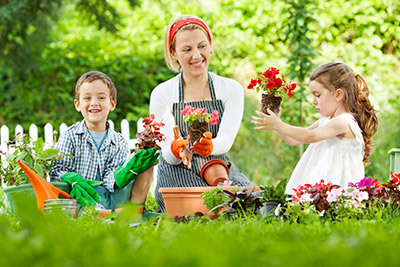 In some situations, it’s also possible to reduce your home’s cooling costs by carefully selecting and locating plants. Planting fast-growing trees on the south and west sides of your home can create shade during the afternoon, when temperatures are at their hottest. This can, in turn, reduce how much you need to run your air conditioner during hot months. This often isn’t an immediate payoff, as even fast-growing trees need at least a few years until they become tall enough to provide significant shade. Additionally, how much you can save on cooling costs depends a lot on how much you currently spend to run your home’s air conditioner. Sometimes, however, the wait results in significant savings for homeowners. 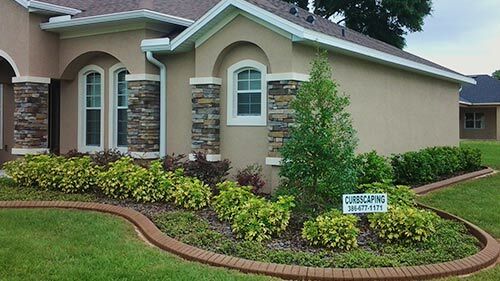 For help creating landscaping that will increase your home’s value and provide many other benefits, contact us at Daytona Classic Curbs, Inc.